Diffuse axonal injury is a traumatic brain injury (TBI) in which multiple areas of the brain are damaged. It occurs when the brain rapidly moves around inside the skull, typically when the body or head is subjected to forces which rapidly accelerate and then decelerate. Car accidents, sporting injuries and falls can cause diffuse axonal injury, as well as any shaking motion. What happens in the brain when DAI occurs? Diffuse axonal injury is a closed head injury. As the brain shifts inside the skull damage to the fragile soft tissue occurs causing lesions (bruising) small tears (lacerations) and swelling. This damage then begins to quickly cause necrosis of the brain tissue which can have life-altering effects. This type of brain injury, in its most severe form, is cause of persistent vegetative state. Mild diffuse axonal injury can be classed as cerebral concussion and, fortunately, does not lead to permanent damage, although the patient may be "ill" for some time following the injury. It is sometimes hard to diagnose diffuse axonal injury as although damage to the tissue may be present and widespread, it may not always show up on initial scans. How is severe brain injury treated? The first concern for healthcare professionals when treating any brain injury is to reduce swelling because swelling inside the tight enclosed space of the skull can cause more damage. In some cases drugs will be used to control the swelling. Unlike a haematoma (bleeding), the injuries involved in DAI do not respond to surgery. Sadly, some sufferers will not regain consciousness and some may die as a result of their injuries depending on which parts of the brain are damaged. Physical therapy – depending on the injury and length of unconscious state the patient may need physiotherapy to help them to walk again or to strengthen weakened muscles. Speech therapy – Some brain injuries affect the patient's ability to communicate, eat and swallow, and they will require therapies to assist with relearning these skills. Occupational therapy – therapists work with the patients in respect of aspects relating to daily life at home, at school or in the workplace, building of independence. Adaptive equipment training – This may cross over with occupational therapy, but some specialist pieces of equipment, especially car adaptations and medical equipment, may require special training for the user and/or their carers. Sadly, no amount of compensation can turn back the clock and restore the claimant to their pre-accident state of health. But if the incident was caused by another party's actions or negligence, a claim for damages can help enormously in assisting the claimant and their family seek financial security and the best therapies for their individual circumstances. Thompsons brain injury claim solicitors in Scotland are specialists in this field and can assist you or your loved one in making a diffuse axonal brain injury claim. When appropriate, we will do our best to seek an interim damages award to help with immediate costs and to take the pressure off financially. We provide a dedicated, committed brain injury claim service and we only ever act for claimants. Our team is passionate about seeking justice for our clients and we will always strive to obtain the fullest award possible. Talk to Thompsons today by calling 0800 0891 331 or by filling in our contact form. 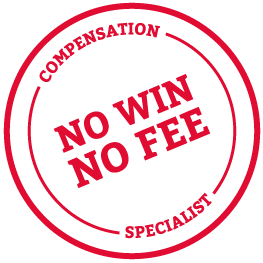 We will be happy to discuss your circumstances, and you will be under no obligation to proceed with the claim.